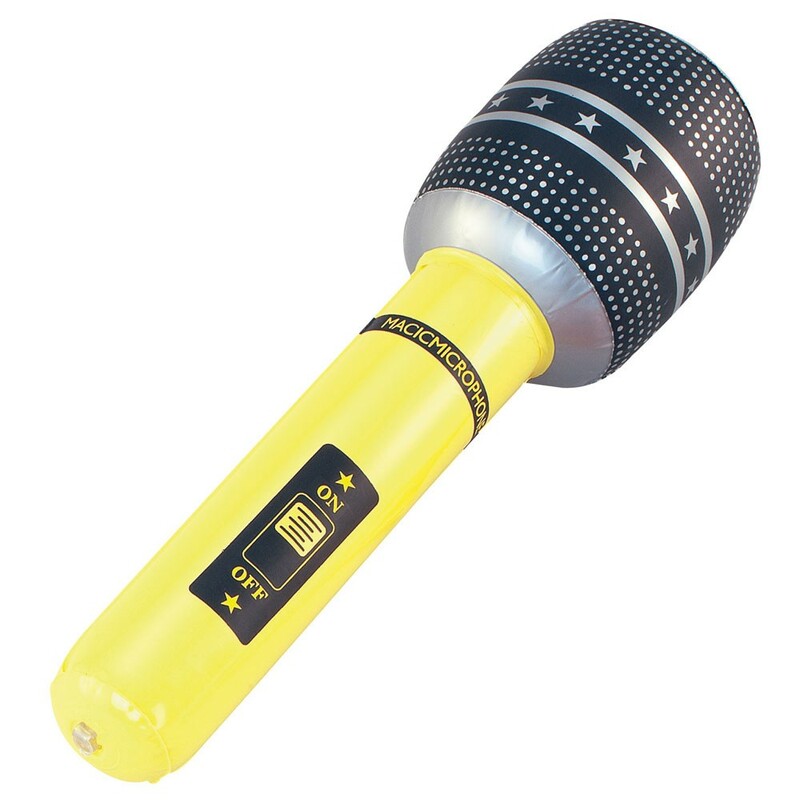 An oversized Inflatable Microphone featuring printed microphone design ??? Ideal for any fancy dress occasion! Transform into a Rock star with this brilliant Inflatable Microphone. This oversized 18” Inflatable Microphone is easy to inflate and will add the perfect finishing touch to any Rock and Roll look. This Inflatable Microphone comes in a random colour selection. If there is a specific colour you require, please contact us to check availability. Get practicing your air guitar ready for your performance debut with this fantastic Inflatable Microphone.